The Arctic Triple – Lofoten Triathlon is an amazing race north of the arctic circle in the land of the midnight sun and the northern lights. Athletes from all over the world were gathered this weekend to compete in Olympic+ and Extreme distance. The weather conditions were perfect on Friday and Saturday giving the triathletes no excuses not to finish the race of their life. 200 participants from 12 countries took part in the Olympic+ and the Extreme distance. Saturday Aug 19th everything was set for Lofoten Triathlon Extreme. The Extreme athletes started for the 4 km swim, 196 km bike leg and the 45 km run. The route for the race takes the triathletes around some of the islands of Lofoten, Autvågøy, Vestvågøy and Henningsvær, through some of the most beautiful scenery in Lofoten. The racers were met by cheering locals stunning views as they went through the world’s most beautiful islands. The 45 km run leg offers a beautiful fjord run, trail running over two mountains with of the most stunning views and ended at the somewhat different finish line – a traditional fish rack used for the well-known stock fish. The winner of the Extreme+ distance was Allan Hovda who finished in 12hours and 03 minutes. 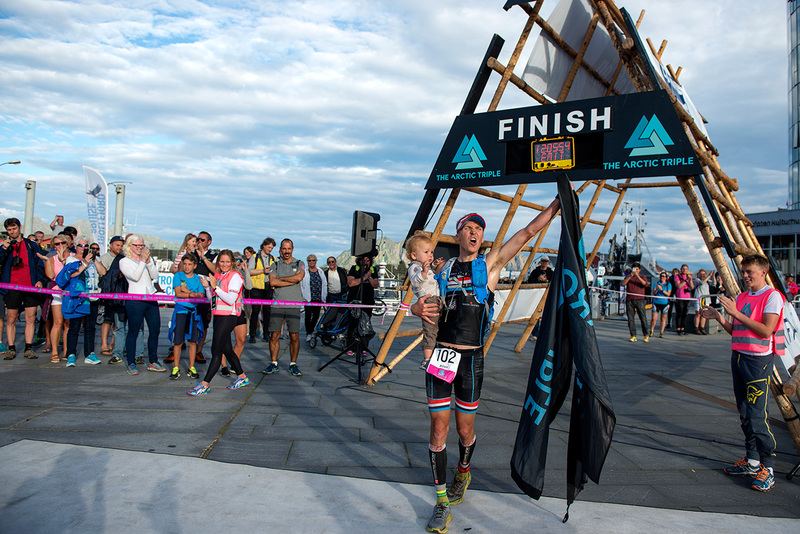 Best female Extreme athlete was Kristin Brantsegg Lome from Tromsø Triathlonklubb who finished on 15 hours and 3 minutes. Friday Aug 18th 150 athletes participated in the Lofoten Triathlon Olympic+. Many athletes did their first triathlon and Lofoten was at it’s very best with a great weather conditions. The 1000 m swim was followed by a 50 km and the run leg circles over a mountain. The female winner of the Olympic+ distance was Jannicke Kildahl from Lofoten Triathlon Club while Svein Stormyr won the men’s competition. 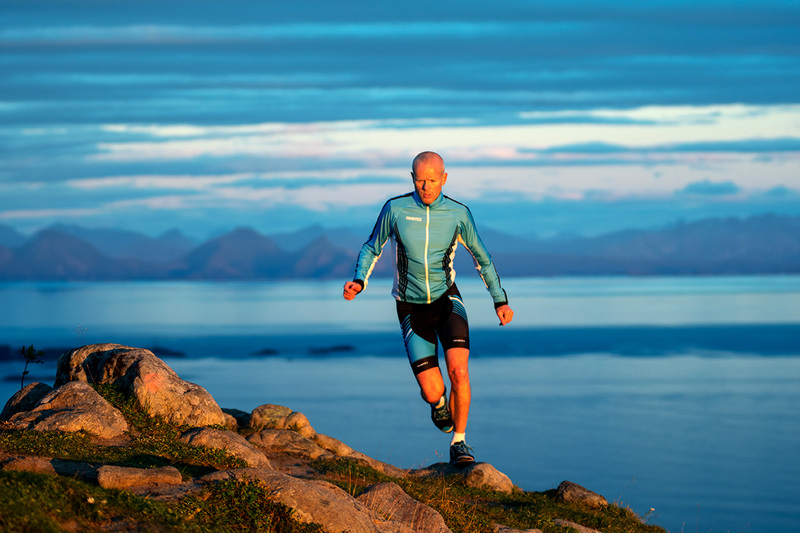 Lofoten Triathlon is one of three races that is part of The Arctic Triple. The three races will take place at set weekend every year – Lofoten Skimo in week 11, Lofoten Ultra-Trail in week 22 and Lofoten Triathlon in week 33.